There is no doubt about it: Traveling the world is one of the best educations you can possibly get. It is also one of the most expensive. Still, there is no better way to gain perspective. The very idea of perspective involves zooming out to see the bigger picture. By zooming out, you will discover that yours is not the only right way to experience happiness, family, and fulfillment. You will learn that things such as religion and political ideology are secondary for most people. Regardless of language or level of education, parents worry about the same things. And all mothers think their babies are the most beautiful, capable of doing no wrong. 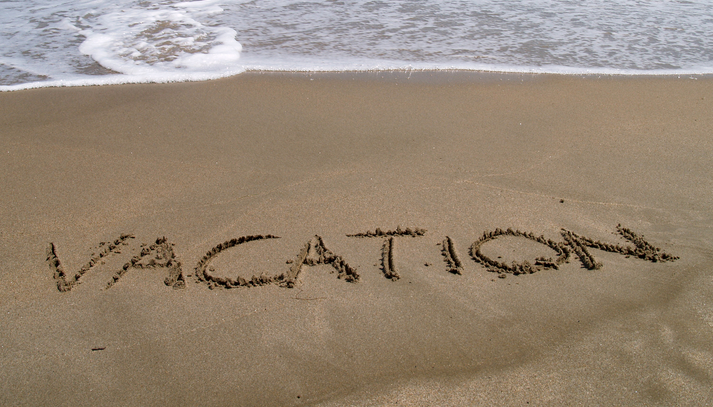 But these aren’t the only reasons to take a vacation. And you don’t have to book a ticket to someplace far away where your native tongue is not spoken. There are amazing vacations to be had right here in the land of the free and the home of the brave. In no particular order, here are a few US destinations for a once in a lifetime vacation. You only need to book a stay at a San Diego resort for one of the most exotic adventures you can have. You won’t be disappointed with your options for accommodations. Full of sublime nature and dazzling spectacle, there is a little something for everyone spending time in San Diego. It is such a versatile locale that you can enjoy more than one kind of vacation while taking only one vacation. You can while away the hours on a beach, take in the local attractions, or enjoy the nightlife. You can have a family-friendly vacation or something else entirely. It is one of the better destinations for either an exotic adventure or a lazy weekend in paradise. There really is something special about seeing a million people in one place. NYC is home to well over 8 million people. It is Metropolis, Gotham City, Central City, Star City, and National City all rolled up into one. NYC is the city of heroes. It is every fantasy metropolitan where superheroes fly on webs and beat down villains in the night. A trip to the Big Apple is like a trip around the world. You will see people from every part of the globe. New York is so diverse, it has no definable culture. The US may not be a melting pot. But New York is. There is no place in the world like it. By the time you get off the subway and pick up your morning bagel, you will have heard spoken every language in the world. You will do business with people from parts of the world you never heard of. You will see all of the world’s art, taste all of the world’s food, enjoy all of the world’s entertainment, and still find all the things that are comfortable and familiar to you. You could travel the world. Or you could just travel the boroughs of NYC. The space between California and New York is often referred to as fly-over country by those who think the only things worth experiencing are on one of the two coasts. But if you already live in a city, you might prefer a vacation home on the range. It might surprise you to find out how many dude ranch vacation options there are. It is not just nostalgia for a bygone time. It is a slice of how we live right now. Believe it or not, meat does not originate from grocery stores. There are benefits to learning haw various aspects of society work. If ranches are not your thing, try visiting some of our working farms. There is a lot to see in the space between the coasts where most of us call home. You’ll be sure to bring back memories that will last a lifetime. So whether you do your vacationing for exotic relaxation, world travel in a bottle, or something more down to earth, the US has it all. The vacation of a lifetime is a lot closer than you think.